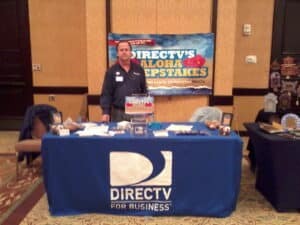 We will be giving away prizes and some great deals on DIRECTV for Business. The festivities start at 5:00 pm with a reception in the Garduno’s Garden and the trade fair is from 6-8pm in the Alvarado Hall. There will be music, a cash bar and 35+ local business to learn about as well as hundreds of local business people to network with. Its the event of the spring for the Albuquerque Hispano Chamber of Commerce and a don’t miss networking opportunity.